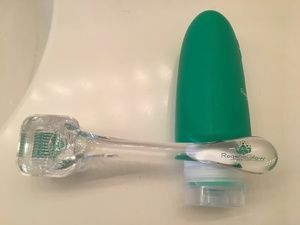 This week I’m going to try a derma roller for the very first time. If you don’t know what it is, it’s a roller with bunch of tiny needles for your face and body to rejuvenate your skin. 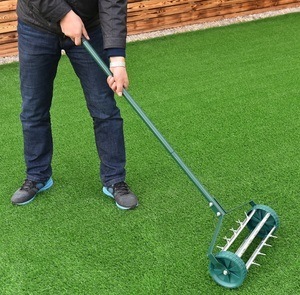 When I first heard of this, I thought of lawn aeration to put holes on the lawn to get the air, water and nutrients deep in the ground to help grow the roots. In fact, there is a device that looks just like a derma roller. I have been curious about this for a while. And I did some research and I finally got this one on Amazon. This one is by RegenaGlow. It came with the storage container, roller head cleaning case, rubber container for rubbing alcohol or cream or whatever and a carrying bag. It came with a link to ebook so I’ll be sharing it as well as what I’ve learned from different sources. leave your skin feeling fresh and rejuvenated. I’ve also seen it helps with sun damage, age spots, and pigmentation issues. Woo hoo! You can even treat your scalp for hair growth. But this time I’m just going to try on my face to see how it works and how it feels. So this device has titanium needles that are 0.25mm in length. Let me show you. I don’t think you can see it. I feel like a beauty vlogger. Maybe you can see better here. I think needles are too tiny. Anyways, I learned you should use a device with titanium needles because they don’t rust. Also there are devices with wheels with spikes instead of individual needles embedded in a roller. Get the ones with the actual needles. There are different length needles but 0.25mm is good for beginners and for a home use. Skin has epidermis and dermis. Epidermis doesn’t have blood vessels but dermis does. The thickness varies depending on the area but the even the thinnest epidermis on eyelids is 0.5mm. So 0.25mm needle shouldn’t make you bleed on your face. But you will NOT be rolling over the eyelids. You will avoid the eyes but you can do it around the eyes. Anything above 1mm in length should be administered by professionals with numbing cream because it punctures the skin into the dermis layer with blood vessels and you will be bleeding. Possible side effects are pinkish or red skin and sensitivity like a mild sunburn after the treatment. You may also get mild rash or bumps if you don’t sterilize your skin or device or if you don’t clean your hands and touch your face. Or if you apply makeup or sunscreen right after the treatment. So clean hands and absolutely no impurities on your face before and after the treatment. Step 1. Clean Roller Heads. Wash with warm running water for a few seconds. Disinfect with rubbing alcohol (70% Ethyl or isopropyl is best – Hydrogen peroxide is a good alternative) I was wondering isn’t higher % alcohol like 99% alcohol better? But I learned it evaporates too quickly so 70% is better. Submerge roller head and allow to sit for at least 10 minutes. This product came with a little cup to submerge the roller head which makes it very convenient. But it will tilt so I had to rest the handle on something. WARNING: It’s a popular method to use a spray bottle filled with alcohol to cleanse a derma roller. But this is NOT an approved method to disinfect a derma roller. Please do not put yourself at risk. If you have to set the roller down during the treatment, make sure you put it on its back or on its side, so that needles don’t touch the surface, preferably on top of a clean paper towel. Step 2: Wash Face, Body, and/or Area You Mean To Treat. I took a shower as the instruction mentioned while I disinfected the roller. I have seen some people using alcohol to wipe the skin as well to disinfect the skin so I’m going to do it. If you know you have a sensitive skin, you may want to use a numbing cream. Step 3: Roll Derma Roller across skin. Someone suggested to divide your face into 4 sections like so. Make sure the roller is air dried after the alcohol soak. Stretch your skin taut with one hand and use the derma roller with the other. Roll the derma roller 4 to 5 times back and forth over the area you wish to treat. I’m going to do 4 times. 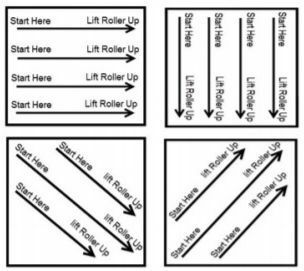 Vertically, Horizontally, then both diagonal directions like tic-tac-toe. Briefly lift the roller off the skin before changing direction no matter how slight the change. Ignoring to do so may result in the needles catching or scratching at your skin. Ouch. Use enough pressure to exfoliate the top layer of skin. But be careful not to use too much. Pay close attention. Only touch with clean hands for about two hours after your session. If you must touch your skin, only do so with clean hands. Touching your now exposed skin with dirty hands is a sure way to irritate your skin and get a rash or acne-looking bumps. You shouldn’t see streaks of blood with these short needles but if you are bleeding more than a pinhead, you shouldn’t continue. Or maybe you’re doing it too strong so lighten up the pressure. Avoid the eyes but you can do around the eyes. But under the eyes I’m just gonna do 2 rolls cuz I’m kinda scared. Temples. This treatment is good for acne scars but I saw in one video not to do it on keloid scars so avoid the keloid area. Forehead. I’ve seen someone does it on the eyebrows no problem. Skin exfoliation acts as channels through the outermost dermal layer of skin. What this means for you is that your skin is ready to absorb 80% more vitamins, minerals, and helpful oils. The outcome is that your body has received far more benefits of the skincare products than it could have done on its own. Hence, this will help magnify your results. The best time to do this is at night before you go to bed because your face will be red and you can’t wear makeup right away. It’s better to put something good for your skin and let the skin absorb it deeper while you sleep. Frown lines between the eyebrows. I think Third Eye sounds better than frown lines. It sounds more spiritual and forward looking. I read it helps to tighten pores around the nose. And around the mouth. 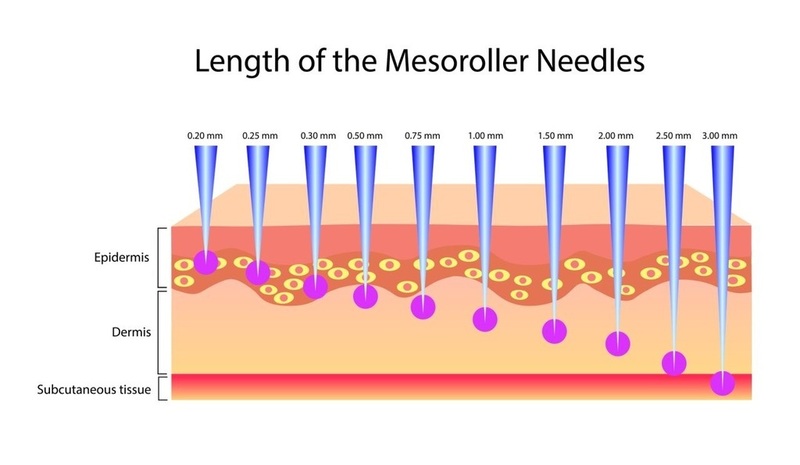 An important part in the aftermath of microneedling is keeping your skin from drying out. And use sunblock to protect from UV Rays. Many harmful free radicals come directly from the sun so if you must go out after derma rolling, stay away from direct exposure to the sun for at least a day. If you must go out, then be sure to use a quality UVA/UVB sunscreen with at least 30 SPF (higher SPF the better). Minimize makeup use. You can apply make up next day but be sure to stay away from cosmetic products that contain alpha hydroxy acids. Retinol products should only be used the day after a derma rolling session, NOT immediately after. Applying such products too soon may irritate the skin. Make sure you use a gentle facial wash. Do NOT use any harsh soap when washing the treated area for the next 1-2 days. I’ve seen both don’t do lips and do lips to plump them up. I am going to try it. Since this is my first time I think I’m doing it very light. But I can definitely feel the needles so I hope I am doing something. They are not painful, just tingling. I felt the skin was hooked when I didn’t lift up the derma roller completely before changing directions. Don’t do it. Repeat on the other side. I’m showing it 4 times faster but later this week I’m going to post a video just on the derma rolling part with normal speed without all the verbiage. If you have anything to share about your derma rolling experience whether success or failure, please leave in the comments section. Step 4 (Optional): They recommend you apply a quality skincare serum, cream, lotion or mask after using the derma roller. 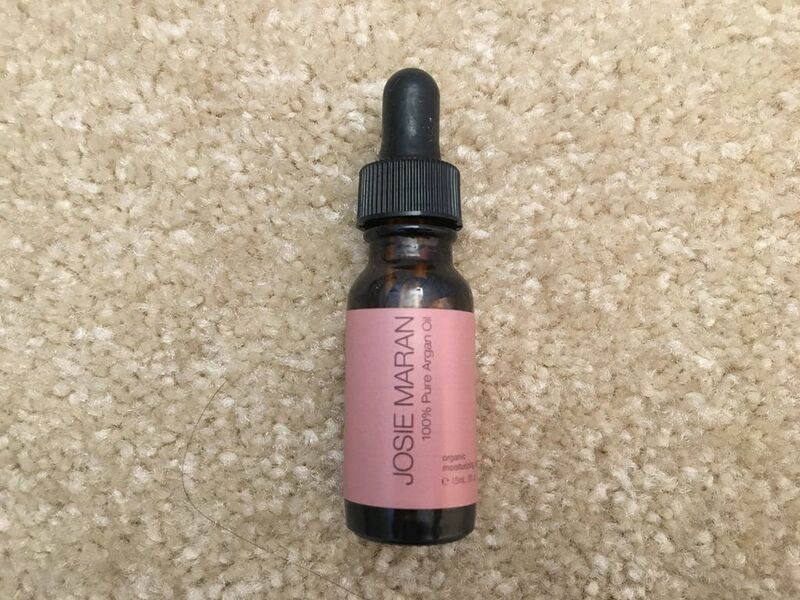 The types of serums they listed are Vitamin C Serum, Hyaluronic Acid Serum and Argan Oil. However, some say don’t use things with Vitamin C while others say use Vitamin C for pigmentation. 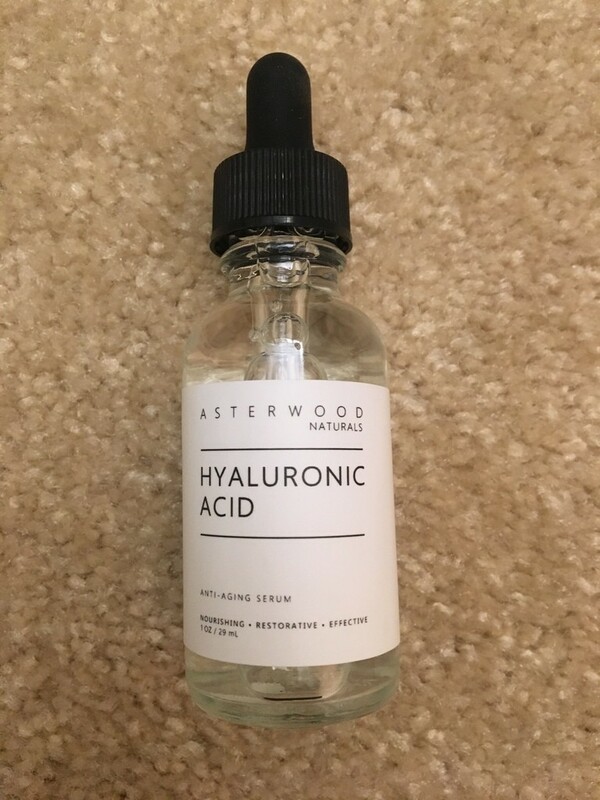 But I didn’t find anyone against Hyaluronic Acid so I got this Hyaluronic Acid Serum with no Vitamin C.
In most cases, you’ll use the serum, cream, lotion, or other product immediately following the derma rolling session. Step 5: Clean and wash up leave your skin alone for about two hours before washing it with cold water. Don’t worry if your face is pink or slightly red. This is a normal reaction and it means the derma roller worked. Great because that’s what happened to my face. This is about 5 minutes after the treatment. Rinse the derma roller and casing in hot water and soak in alcohol as instructed in Step 2. But it’s actually Step 1 so this is wrong. To ease the redness, you may use soothing cream over the treated areas for the next few days whenever the redness flares up. This should also help with the healing process. Here’s that product. But they didn’t list any product so that’s a missing information. I kept putting Hyaluronic Acid like 4 times but I kept feeling my face was dry. So I used the Argan Oil I had and I only had to apply once. This is morning after. Maybe slightly more red than usual but my face felt fine. So I was thinking “Oh I can do this often then.” But as soon as I put on sunscreen, my face reacted a bit and it was more red which I’ve never experienced before. So I am convinced that my skin is more sensitive. Step 6: IMPORTANT THINGS TO DO After and others to avoid. I was actually sprinkling the information throughout the video but to recap, hydrate, hydrate, hydrate with good quality serum, oil, cream, or moisturizer, use sunscreen to protect your freshly punctured skin, minimize make up use especially with harsh chemicals, clean hands, and let your skin heal. So how often can you do this. They say once every 2-3 days with the 0.25mm needles. But everyone is different so make sure you give your skin time to recover between sessions. Just remember to only use derma roller when your skin is healed. I’m going to observe my skin and will do this for a month.